In this 21st century, platform beds popularity has increased in the wake of modern décor styles. If you own a platform bed, you will agree with me that it saves you money as it cuts spending on a box spring. Fortunately, you can use the savings to buy yourself a higher quality mattress. The good thing about platform beds is that you can use many types of mattress on them. On top of this, it is a great choice if your room has limited space for storage cabinets. However, for firmer and long nights sleep you need to have a good mattress. In this article, I have put together useful information about platform bed mattresses you need to know before buying one. Just want to see our top picks for best platform bed mattress? Click here to see the list! Generally, a platform bed refers to a simple bedframe consisting of a built-in foundation in the form of a raised solid wood or a slat support system onto which the mattress directly sits on. 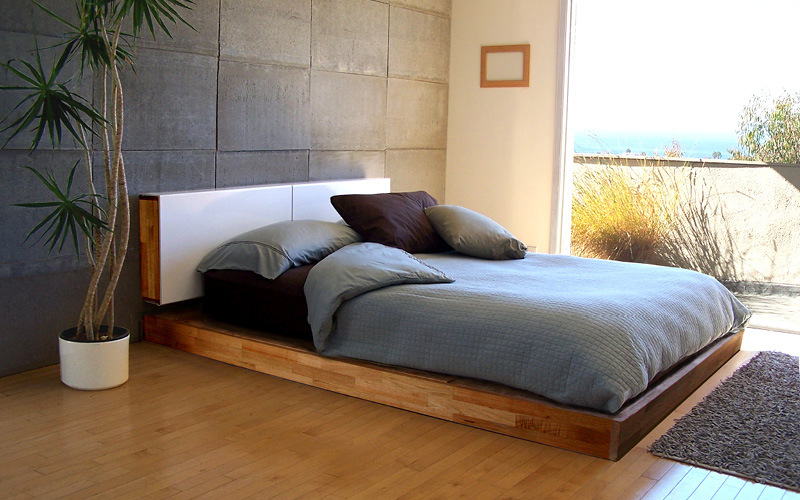 Unlike the traditional bed frame, the platform bed does not feature a box spring. Over time, platform beds have evolved from what it used to be and it is now available in many styles for a customized fit. Therefore, a knowledge of its core features will help you settle for the right mattress. Here are the basic features that differentiate it from a regular bed. The mattress rests on the surface and it makes make the primary difference between a platform bed and a regular bed. Although both bed styles can use the same type of mattress a platform bed uses slats or a solid piece of wood to support the mattress. In contrast, a regular bed will use a box spring for support. The box spring comprises of metal springs encased in a frame. On the positive side a platform bed, support system does not damage the mattress. If you look at a platform bed and a regular bed, you will note that there is a huge difference in how the two mattresses can sit on the ground. A platform bed sits lower since its mattress support does not add any additional height to the bed. However, a box spring bed will naturally increase the height of your bed since the mattress needs to rest on the box springs, which then rest on the bed frame. A platform bed comes with a built-in drawer or shelf at its base. You will also note that the platform is always in place whether there is a mattress or not so the drawers look nice. On the other hand, a regular bed does not necessarily come with a built-in storage underneath its frame. However, it is possible to install drawers and shelves. For a platform bed, you require less bedding as compared to a regular bed. You can simply dress it with sheets and a comforter and it will look just fine. However, your regular bed requires a skirt or wrap in order to conceal the box springs otherwise the bed will appear undone. Various types of mattresses can work with any platform base; however, what feels comfortable for you is absolutely for you to decide. Overall, memory foam and latex mattress are the most preferred choices as they are designed to be used with solid support foundations. Nonetheless, there are a few things to consider before acquiring the best mattress for your bed. Although your mattress may not meet all of them, any choice with most of these aspects is not far from a reliable, comfortable and high-performance mattress. #Support level: Naturally, a good mattress works well even if it does not match its foundation. A good mattress is one that fits the foundations of your bed easily. Besides, it should be able to support all the pressure points to prevent pressure points that cause tossing and turning. A firm mattress makes a better option in terms of body support and durability. #Comfort level: the various mattresses available provides you with different levels of comfort. A good mattress should enable you to enjoy great comfort when sleeping. So consider such types that can contour to your body curves, as this will help distribute your body weight across the surface thus eliminating the buildup of pressure points. #Weight: the best mattress you can buy is one that supports your weight and that of your partner without deforming. However, some mattresses like latex can be extremely heavy. Therefore, adding your weight on it might exceed the maximum weight limit of your platform bed breaking it. #Height: this is an important consideration yet commonly ignored. You should be comfortable getting into and out of the bed. As a result, the height of your mattress together with the frame it rests on should be at a level comfortable and ergonomic for you. If you love low profile bed, make sure the height of your mattress is comfortable and vice if you love tall beds. #Warranty: most warranty covers the product against defects and poor workmanship but will never cover issues that may result from using the mattress on a platform bed without a matching foundation. Therefore, if you intend to use your mattress on a different foundation other than the one recommended by the manufacturer, it is important to find a brand that allows you to use it on a platform bed without a matching foundation. #Seek out reviews: it is wise to do a little more research about every mattress before buying, especially with big purchases. The best virtual way to buy a good mattress is by checking reviews and frequently asked questions about your preferred choice. Doing so helps you know what is in the bed and pairing this with your platform bed specifications will help you settle for the best platform bed mattress. Let me put this straight that there is no specific mattress for your platform bed. Therefore, any mattress will just work well, however you need to pay a closer attention to the pros and cons of each mattress. 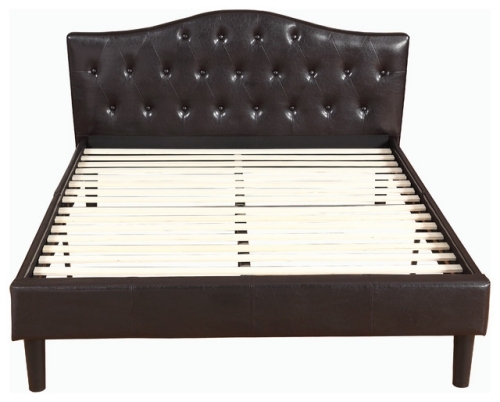 Chiefly, memory foam mattress and latex mattress make great platform beds due to their designs. Latex mattresses are also great alternatives for platform beds. They are composed of latex cores and are uniquely designed to be used with sturdy foundations this explains why it is a good option for platform frames. Latex mattress is thick and offers firm support so you will barely feel the platform. 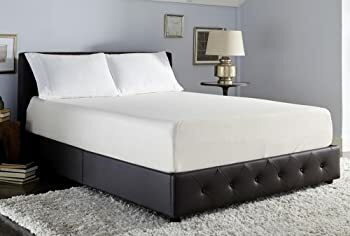 On the positive side, latex mattress works great for people who wants something that will alleviate body pain and pressure since they offer great body support. Another good thing about them is that they can be purely natural or organic so there is no worry of environmental impact. Moreover, it is good to assess the weight limit of your platform before spending your money on it because sometimes they tend to be on the heavier side compared to memory foam or traditional innerspring. Latex mattress has an estimated satisfaction rate of 80%. 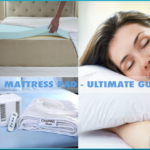 The DreamFoam Bedding Ultimate Dreams Mattress is a good choice you may want to try. So far, memory foam mattress is the most versatile alternative for platform beds since they can be used on any surface. Their design is perfect for solid support foundations and this makes it practical on a box spring, the floor or whatever platform you have at home. The memory foam will perform well when used on a platform bed with wide and evenly spaced slats. However, it should not go beyond 3 inches apart. The more the spacing the more likely the mattress sink into those spaces affecting its support and shape. Spaced slats are preferred as they enhance breathability and prevent moisture build-up. Memory foam molds nicely to your body shape spreading your body weight evenly across the bed and this proves beneficial in relieving pressure points. Important to note is that memory foam comes in three main types namely, traditional, gel and plant based so choose the type that meets most of your needs. Generally, they have the highest satisfaction rate estimated at 81%. The Zinus 12” Sleep Master Ultima Comfort Memory Mattress is a great choice in this category. Apart from the two major categories, the following mattress categories will also enhance the comfort of a platform bed. Read over their pros and cons to help you determine the best category for your needs. Waterbed mattresses are available in two structural designs hard-side and soft-side beds. Of these two designs, a hard-side waterbed will not make a great choice for your platform bed because it requires a surrounding support. For this reason, hard side waterbed is only usable on wood waterbed frames. Conversely, soft side waterbeds will lay comfortably on a solid flat surface and this makes them a workable alternative. Furthermore, the soft-sided waterbeds use water for support so they are less likely to cause pressure points like the innerspring mattress. This mattress type has an estimated satisfaction rate of 79%. Its major setback is that they are difficult to find and require a lot of care. One thing you need to know about waterbeds is that they require a lot of care. Some people will find the waterbeds supportive but it is a good choice. Innerspring mattresses are inexpensive and perhaps one of the most common mattress types. They feature interconnected or pocketed coils filled with layers of foam and fiber. These mattresses are designed to be used together with box springs so they may not work well with platform beds. 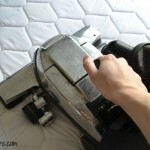 However, you can slide the mattress over a platform base but the bed will feel firmer than expected. In addition to this, the bed will feel unstable due to the increased height of the platform. The innerspring mattress has an estimated satisfaction rate of 63%. It is worth noting this mattress has below average durability and less effective in terms of motion transfer. A good choice in this category is the Nest Bedding Alexander Series. The futon mattress is a great choice if you are on budget. They are usually thin and do not offer much support but their light weight makes them a practical option for most platform frames. Nonetheless, this mattress type does not last long and may emit disturbing odors. They have an estimated satisfaction of 74%. 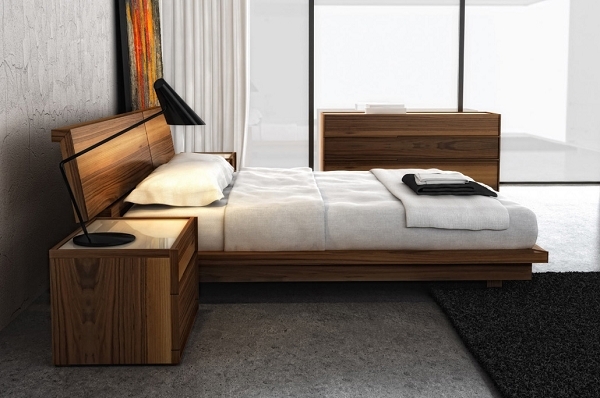 Are you convinced that a platform bed is what you need? Then it is time to find a good mattress for you and does not forget that you can spend a third of your lifetime in bed, so reward yourself with something that will treat you like a queen every night. The Helix is customized to give you dreams that matter. Every aspect of this mattress is a custom build and personalized to meet your specific needs and preferences for the best quality sleep. What is more about it is the fact that you have 100-night sleep trials which give you the return window should it fail to satisfy your desires. Good news for couples is that the Helix provides couples personalized solutions. You can get the blended mattress of the dual comfort mattress that takes the combination of both your results to customize a comfortable medium across the entire mattress. It is best for couples who need similar support and comfort preferences. On the other hand, the dual comfort mattress will take each sleeper results and individually personalize each side of the mattress by splitting down the middle. This is great for sleepers with different support needs and comfort preferences. This hybrid mattress features a perfect blend of Helix Dynamic foam, Pocked Microcoils and High-Grade Polyfoam. This combination delivers amazing comfort and body support. The second layer is a breathable material to maximize airflow for a cool bed. 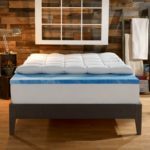 In terms of temperature regulation, this mattress has a breathable layer with individually pocketed coils for improved airflow between the top and the plush Helix dynamic foam and the high-grade poly-foam. This provides a comfortable and cool nights sleep. The AS3 mattress is one of the most innovative mattresses built with performance in mind down to the last bit. Its manufacturer in the USA uses an innovative technology in its construction to give you the best possible night sleep. If you want a hand-assembled and custom-made option then consider this AS3 mattress. What surprised me is the fact the manufacturer will follow up with your details in order to personalize the right mattress for you. Believe me; you will get free shipping on your purchase coupled with 100 days of night risk-free trial. Its magic is countless until you feel weightlessly resting on a cloud thanks to the affinity transition layer. By bringing this AS3 into your bedroom, you will start experiencing a restful and a long sleep. This hybrid mattress was made with great care using the highest quality Bio-Pur memory foam to ensure you get nothing but an expertly designed blend that will provide you superior comfort and exceptional support. In addition, its high-performance Celliant cover improves its overall performance. Say hello to cooler and comfortable with the AS3 mattress. This mattress features an extra-breathable cooling layer that is proven to be 5-times breathable than a standard memory foam. This US made mattress is specifically designed for those who need a very firm but a comfortable bed. 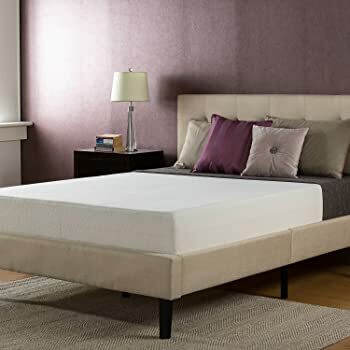 This 10-inches thick mattress gives your body superior comfort and exceptional, orthopedic support that ultimately lead you to the ultimate night dreams. It comprises of 3 inches of Talalay latex foam that instantly contours to your body curves. This is beneficial as it reduces high-pressure areas that cut off capillary blood flow. As a result, oxygen, and nutrients flow nicely to all pressure points you will, therefore wake up feeling renewed. 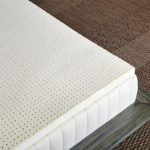 No matter how you sleep this you cannot have problems with this mattress as it is compatible with back sleepers, side sleepers, and stomach sleepers. I found that it did a solid job in all sleeping positions. Everyone is going green and this ultimate dreams mattress is a good choice as it is made from organic materials that come from the earth. In fact, Bamboo is a renewable source grown without chemicals. 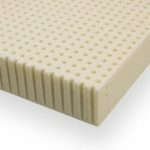 Another positive aspect you may love this mattress for is the fact that the Talalay latex foam is hypoallergenic and breathable. For this reason, you can buy confidently that you will never have any issues to do with allergens. It is cool to see that this mattress utilizes the cooling gel technology which makes it sleep 30% cooler than a standard memory foam bed. The Zinus is designed with your comfort in mind like its name “Ultima Comfort’ Suggests. 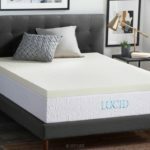 It features three comforting layers as follows; a 3-inch conforming memory, 3-inches pressure relieving comfort foam and 6-inches high-density base support foam that keeps the mattress shape. This structure gives you a conforming comfort and support allowing to rest better. It is made from the highest quality foam and on top of this; it utilizes BioFoam-the latest evolution of memory. This special mixture of petroleum and natural plant oils help keep the mattress fresh by combating the natural body odors. That is not all about the BioFoam since the infused plant oils and petroleum work the same way as the cooling gels this ensures that you stay cooler, fresher and sweat-free when asleep. 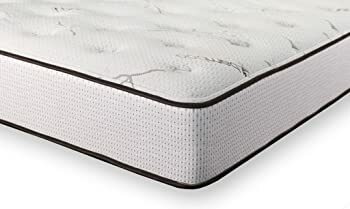 Furthermore, the memory foam is CertiPUR-US certified for durability, performance, and content. When it comes to durability, this sleep master is made to last. This durability is backed by a by a 10-year manufacturer guarantee against defects. However, this is a one-sided mattress so you cannot flip it to extend its life although this is not a serious concern. The signature sleep is a popular mattress as explained by over 7000 customer reviews on Amazon. A firm mattress works easily without a box spring. It has a dual layer construction and the layers are laid in such a way that provides you with balanced support leaving no section of your body feeling pressure. Therefore, it can help you if you suffer from back pains. However, if you are looking for something that will provide you superior comfort, this is not your deal. Besides this is a one-sided mattress so you cannot flip it to get longer life. Good news is that the Signature Sleep mattress is a healthy choice and this gives you peace of mind in terms of toxic chemicals negatively affecting the indoor air quality. Interestingly, this mattress is very versatile and can rest on a variety of platforms. Therefore, if you have a sofa bed, box spring bed, bunk bed, daybed, and trundle beds this mattress will work well with any of these. 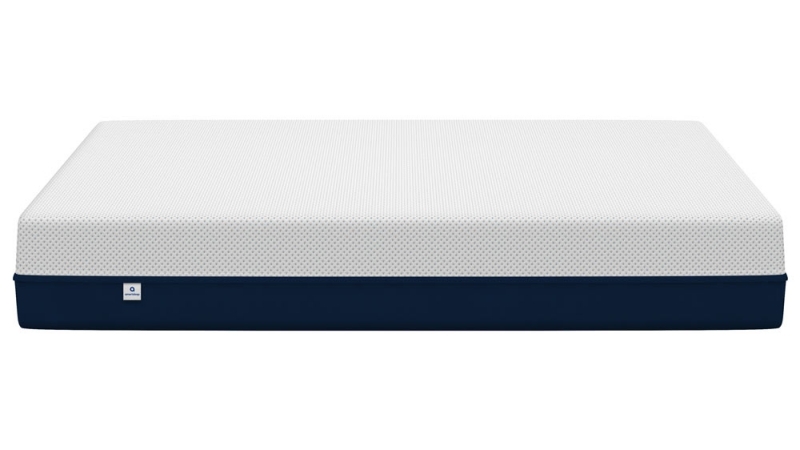 This signature sleep mattress is made from a high-quality CertiPUR certified foam that is durable. Therefore, you can expect it to last a few years before needing a replacement. 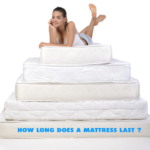 Nonetheless, this mattress is not designed to last longer than 5 years and this is explained by its 1-year warranty. Forget about disturbing your partner at night, this mattress has isolating qualities, which improves the quality of sleep. Congratulations! We have come to the end of our platform bed mattress reviews and we believe you are now informed to make a rational decision on your own. Having presented you our top choices, it is up to you to determine which of these choices will be great for your bed.